Our Sweet Lemons: Is Your Baking Powder Aluminum-Free? 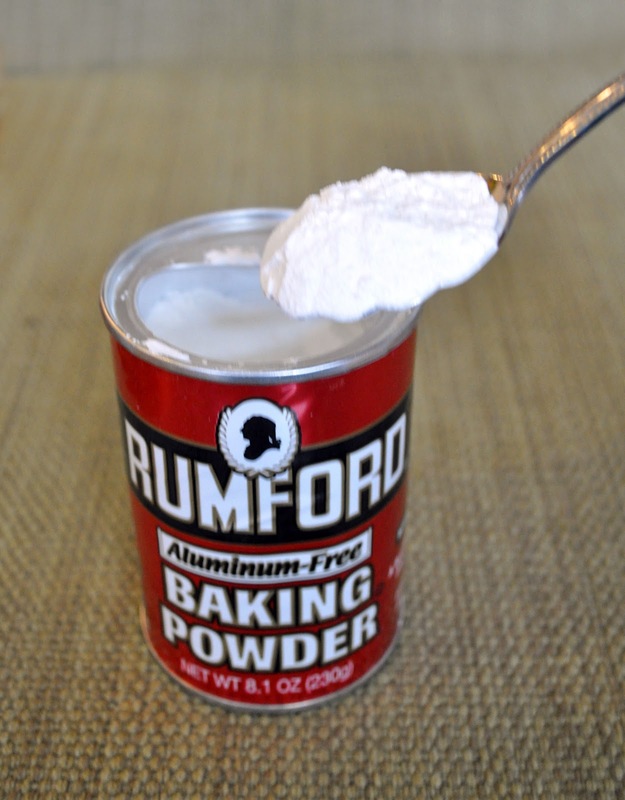 Is Your Baking Powder Aluminum-Free? 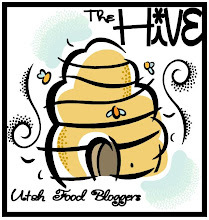 Want to improve the taste of your brownies, cakes, quick breads, cookies, and muffins? If you've ever experienced a bitter, "tinny" flavor when biting into a muffin, it's because of the baking powder used—and often the overuse of it. Using aluminum free baking powder will take away that bitter flavor. But there is more benefit to switching besides taste. Some medical reports suggest that ingested aluminum may have a direct link to Alzheimer's, attention deficit disorder, bone degeneration, kidney dysfunction, and even Parkinson's disease. While the reports are not conclusive, why take the risk when there is a much better alternative? 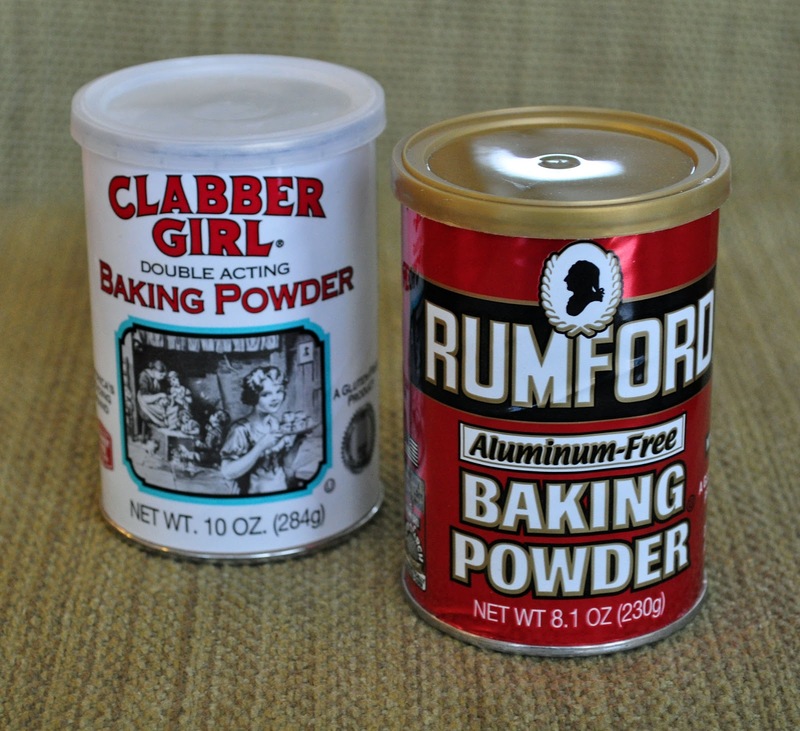 Baking powders that contain aluminum are labeled double-acting-- it's the addition of aluminum sulfate that provides the double action. Some of the leavening power is released when your recipe is prepared-- specifically when moisture is added, with most of the leavening occurring when the item is baked. This produces a very fine, light texture, and is used especially in commercial baking, where mixes often sit for long periods before they go into the oven. Home bakers don't need double action-- to achieve this same lighter texture, just bake the mix immediately. Baking powder can loose it's oomph-- and when that happens your goodies aren't as fluffy and light as you want them to be. You can test your baking powder to see if it's still good by adding a teaspoonful to a half cup of boiling water. If nothing happens, throw it away. If it boils vigorously, it's still good. Did you know you can make your own single-acting baking powder? The cornstarch is used to prevent caking while it is stored. So if you're going to use it immediately, you can skip the cornstarch. 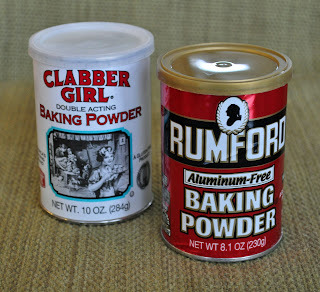 which baking powder will you choose? KellyAnne's Jasmine Rice is up next ... you're going to love it! I always wondered how you knew if it was going bad or had lost its luster! Thanks.